Monumental Sports & Entertainment CEO Ted Leonsis is launching a second Arena Football League team in Baltimore to compete with the expansion Washington Valor. MSE already expanded its footprint in professional sports by adding the Valor, giving them a stable of teams in the NBA, NHL, WNBA and, now, the AFL. The unprecedented move will give MSE ownership of two of the five teams in the league in 2017. The team will play at Royal Farms Arena in downtown Baltimore, and should be named in the next 30 days, according to Leonsis. Although NFL viewership is down, Leonsis said he didn’t see that as a result of a disinterest in football as a sport as much as the style and presentation of the game. He’s hoping the Baltimore addition spurs further expansion in the area. Leonsis downplayed his recent remarks. He didn’t rule out a potential future move within the District to a new home for his MSE properties, though. 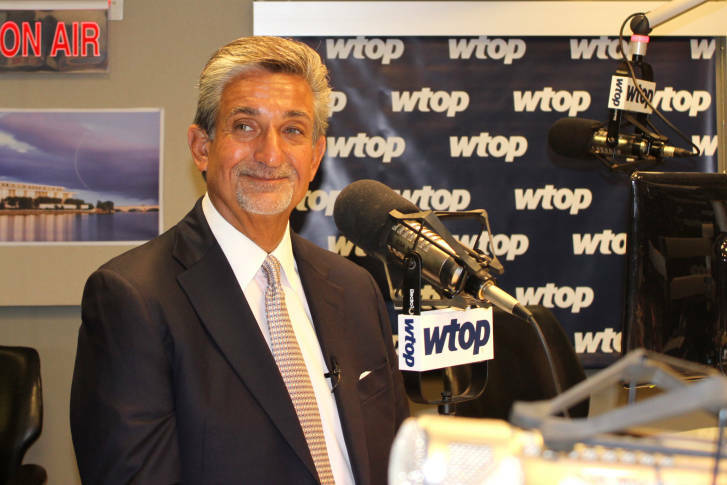 Leonsis also discussed the progress on the Entertainment & Sports Arena, and suggested that he would like to add an NBA D-League franchise to that building as well, saying he was hopeful the structure would be up and running two seasons from now. Despite an offseason in which they missed out on homegrown superstar Kevin Durant and the Wizards’ slow start to the season, Leonsis remained optimistic about both his new head coach as well as the team in general. Leonsis cited early injuries as part of the issue and downplayed reports of discord between the team’s two young star guards, John Wall and Bradley Beal. When asked about longtime Wizards general manager Ernie Grunfeld, whose contract expires at the end of the season, Leonsis was supportive but measured. “I have confidence in everyone who works for me, but we have to be accountable,” he said. As for the Capitals — who have made the playoffs eight of the last nine years, but have not reached a conference finals during that span — Leonsis remained optimistic.